A new way to design and 3-D print custom orthotics and prosthetics could give amputees, stroke patients and individuals with cerebral palsy lighter, better-fitting assistive devices in a fraction of the time it takes to get them today. Developed by the University of Michigan College of Engineering, the system is being implemented at the U-M Orthotics and Prosthetics Center. The U-M engineers and clinicians who designed the new cyber manufacturing system say that shortening the fabrication time for custom orthotics could make the process easier on custom assistive device users, who today must wait days or weeks to receive essential orthotics and prosthetics. The digital design and manufacturing process can also improve the devices' precision, fit and function and improve consistency from one provider to the next. Prostheses are devices used to replace a lost limb, while orthoses are braces used to protect, align or improve function or stability to injured limbs. 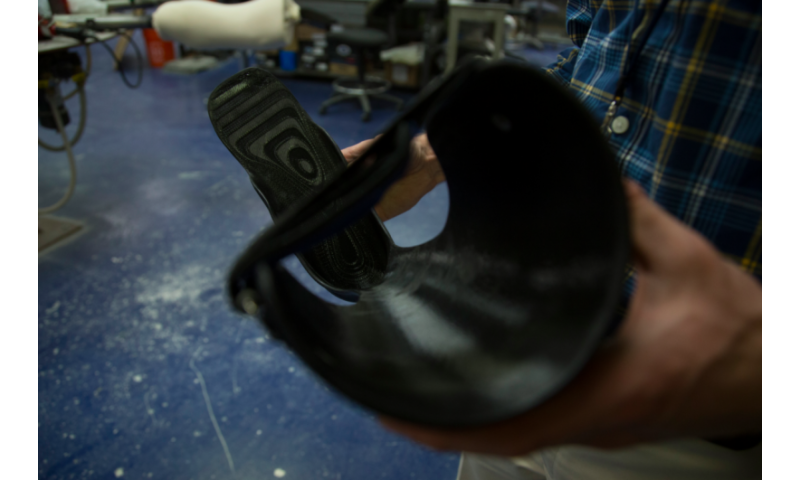 Currently, the U-M team is focusing on ankle foot orthosis, which are often prescribed to stroke patients to help them regain their ability to walk. More than two-thirds of the 700,000 stroke victims in the United States each year require long-term rehabilitation, and many of them can be helped with custom orthotics. The devices can also help children with cerebral palsy, myelomeningocele and other conditions gain stability and walk more easily. "Eventually we envision that a patient could come in in the morning for an optical scan, and the clinician could design a high quality orthosis very quickly using the cloud-based software," said Albert Shih, U-M professor of mechanical and biomedical engineering and the lead on the project. "By that afternoon, they could have a 3-D printed device that's ready for final evaluation and use." The new technique begins with a three-dimensional optical scan of the patient. The orthotist then uploads the scan data to a cloud-based design center and uses specially developed software to design the assistive device. Next, the software creates a set of electronic instructions and transmits them back to the orthotist's facility, where an onsite 3-D printer produces the actual device in a few hours. Jeff Wensman, director of clinical and technical services at U-M's Orthotics and Prosthetics Center, says the new process is a major departure from current methods, which begin with wrapping fiberglass tapes around the patient's limb. The tapes harden into a mold, which is then filled with plaster to make a model of the limb. Next, heated plastic is formed around the mode. The device is then hand-finished by smoothing the edges and attaching mechanical components like straps. It's a labor-intensive process that requires a large shop and a highly trained staff. By contrast, the only onsite equipment required by the new process is an optical scanner, a computer and a 3-D printer. In the future, this could give even small clinics in remote areas the ability to provide custom orthotics and prosthetics. The lighter weight of the 3-D printed devices stems from a technique called "sparse structure," which can make orthotics that are partially hollow using a wavy internal structure that saves weight without sacrificing strength. 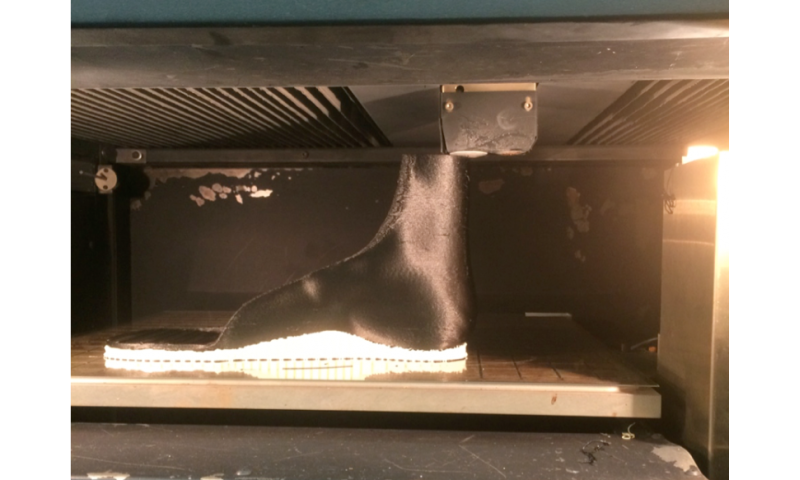 Developed by U-M mechanical engineering doctoral student Robert Chisena, sparse structure was initially intended as a way to print orthotics more quickly, but researchers quickly realized that it could make them better as well. "Traditional hand-made orthotics are solid plastic, and they need to be a certain thickness because they have to be wrapped around a physical model during the manufacturing process," Wensman said. "3-D printing eliminates that limitation. We can design devices that are solid in some places and hollow in others and vary the thickness much more precisely. It gives us a whole new set of tools to work with." Because the 3-D manufacturing process uses computer-based models rather than hand fabrication, it's also more consistent than current methods. Any clinic with a 3-D printer could produce exactly the same device time after time. In addition, computer models of previous orthotics can provide doctors with a valuable record of how a patient's shape and condition progress over time. Eventually, the researchers plan to make the system's software and specifications freely available so that other health care providers can roll out similar systems on their own.